The purpose is I want to create a 3D model for create a preparation or show a result of 3D geophysical modelling & inversion. And the code is very slow when I run it. The more # of x, y, z the slower response of my code. So it is not effective when I try to rotate it. My question is, how to make the code effective, light, fast when I run the code? 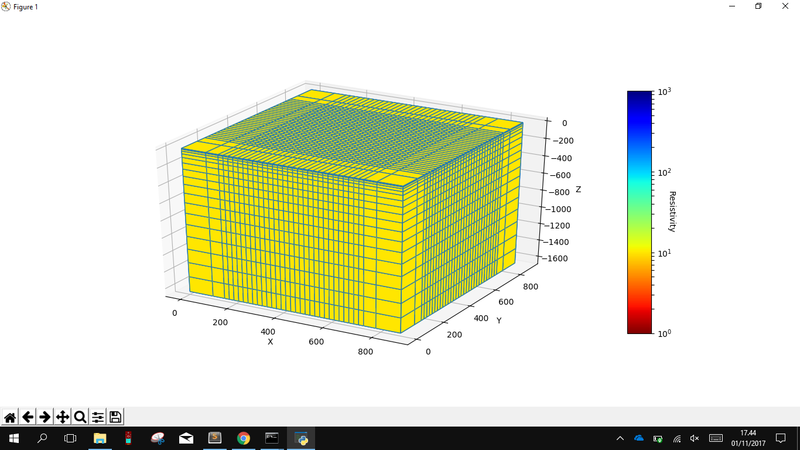 for you information that my logic when create that code is I am trying to make a rectangle surface and plot it one by one. I have tried to make it light, I only plot the outer side of the cube. Browse other questions tagged python performance python-3.x data-visualization matplotlib or ask your own question. How do I make this function faster? How to improve this functional python fast exponentiation routine? How to make this random number game better? How to make Project Euler 32 in Python faster? Vigenère Cipher in Python, how secure is this?